Brown tube dress. Perfect for office worn with a jacket. Scarf sold separately. Chic square flower print brown scarf. SISELLE PROMOTION - PURI SANTIKA SPA VOUCHERS! We carry personally selected fashionable items from here or anywhere across the pond for special people just like you. Accessories and clothes galore! Go on, browse through and indulge yourselves. 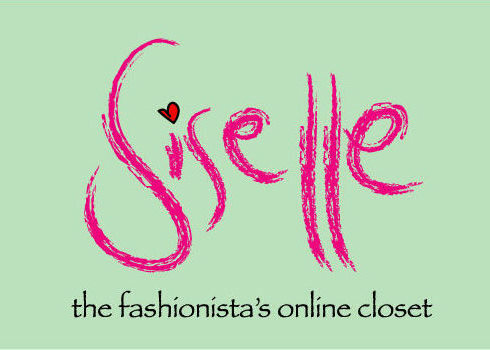 Bring out that fashionista streak in you here @ Siselle! Please note that we do not carry many quantity for each design since we want to keep it as exclusive as possible and with many varieties. So everything is on first come first serve basis. What would you like us to feature here @ Siselle for the upcoming Aidil Fitri? Click here to see and shop for interesting pre-loved items, branded and non-branded. We entertain serious buyers only. Please scroll down to the bottom most of this page to find the Order Form. Please state your name, contact number, address for delivery, item name (eg: Aurora bangles),item code, colour & size (if applicable). Send the form. Once order received, we will send the full amount due (including postage) as well as Account Info. Payment must be made within 2 days. Failing to do so, we will release the item to the next interested buyer. You may choose either to bank in the payment or via online bank transfer. Do notify us once payment is made. Please state date and amount of transaction. Purchased item(s) will be mailed out. Please note that delivery will only be made on every Wednesday and Saturday only. If we received your payment on Wednesday, your item will be mailed out on the following Saturday. Saturday payments will only be mailed out on the following Wednesday. 1. All sales made are final. We do not do refunds or exchange of items. Please ensure that you request for the right item code, size or colour. If you are not sure or would like to enquire further, please do not hesitate to contact us. 2. Strictly no BACK OUTS once purchase is confirmed (payment is made). 4. We will not be liable for any damage or loss during the delivery of the item(s).